We had the pleasure of meeting business entrepreneur Tom Warner, the founder of Warner Edwards, a farm-born distillery, known for their innovative range of artisan gin. 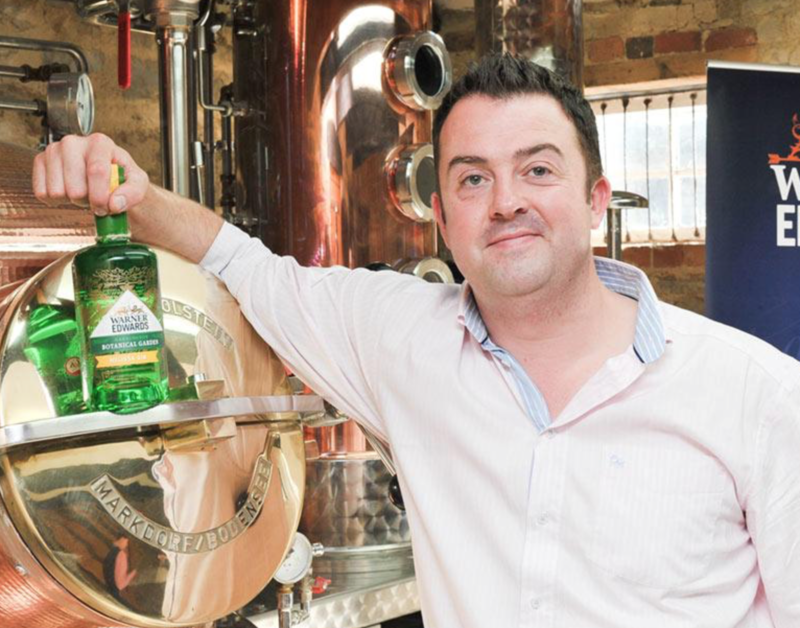 He gives us some top tips for growing a business and makes some interesting predictions for the gin industry. With the growing demand for gin in recent years, how has this affected your business growth? The gin market has doubled in the last eight years and our business has certainly felt the benefit of this as we continue to grow exponentially. What are your top 5 tips for growing your business? What is the best thing about being a gin producer? I get to harness my creativity and passion for food and drink. I basically make products that I love, now how’s that for a day job? What is the one piece of technology or system your business could not survive without? It has to be our beautiful copper still, Curiosity. This is where the intense smoothness of our gins comes from. Curiosity is the heartbeat of our business and when we welcomed her in October 2012, she was the first of her kind in the UK. What effect did winning the HSBC growth accelerator have on your business? It had a huge effect on cash flow – we had over traded heavily and a cash vacuum was forming in the business. The win kept the wheels turning at 100mph! What has growth brought you, other than improved sales? Mainly distribution and awareness but you need to have a plan of where you want your brand to show up and be responsible about it. Its great to utilise certain opportunities, but you also need to be mindful not to dilute the brand. What has been the highlight of running your business to date? The love shown for our products by consumers – we love it when people tell us how much they enjoy our gin. Also, it has to be seeing the team we have created make and sell amazing gin every day. What are your top predictions for the gin market in 2019? Who is your biggest celebrity gin fan? What is your favourite gin-based drink? Got to be a Gin & Tonic. Simple, classic and effective. You can find out more about Warner Edwards and their unique range of handcrafted artisan gins, here at https://www.warneredwards.com/.